OVERLAND PARK, Kan. - Prosecutors have enough evidence to pursue hate-crime charges in the shooting spree that killed three people at a Jewish community center and retirement complex near Kansas City, authorities said Monday, a day after the attack. Frazier Glenn Cross of Missouri, a known white supremacist, has not been formally charged in the slayings, but officials said more information about charges was expected Tuesday. Federal prosecutors were moving to put the case before a grand jury. Police suspect Cross fatally shot two people Sunday afternoon in the parking lot behind the Jewish Community Center of Greater Kansas City, then drove to a retirement community where he shot a third person. He was arrested in an elementary school parking lot. "We have unquestionably determined through the work of law enforcement that this was a hate crime," Overland Park Police Chief John Douglass said, refusing to elaborate on the evidence. Cross, a former Ku Klux Klan leader who was once the subject of a nationwide manhunt, was jailed on a preliminary charge of first-degree murder. SITE, a U.S.-based terror monitoring group, described the suspect as a known and vocal anti-Semite who frequently calls for genocide against Jews. According to the Southern Poverty Law Center, Miller has been involved in the white supremacist movement for most of his life. He founded the Carolina Knights of the Ku Klux Klan and was its "grand dragon" in the 1980s. The Army veteran and retired truck driver later founded another white supremacist group, the White Patriot Party, the center said. Police said the attacks happened within minutes. The gunman shot two people in the parking lot behind the Jewish Community Center of Greater Kansas City. He then drove a few blocks to a retirement community, Village Shalom, and gunned down a woman or girl there, Douglass said. Officers arrested him in an elementary school parking lot soon after. The gunman shot at but missed two other people and never entered any buildings, police said. The family of the first two victims in the killings identified them as a grandfather and a grandson who were at the community center for a singing competition for teens. The victims were identified as Dr. William Lewis Corporon, who died at the scene; his 14-year-old grandson, Reat Griffin Underwood, who died at Overland Park Regional Medical Center; and 53-year-old occupational therapist Terri LaManno, a Catholic who was visiting her mother at the retirement complex near the community center. Reat was a high school freshman and an Eagle Scout. 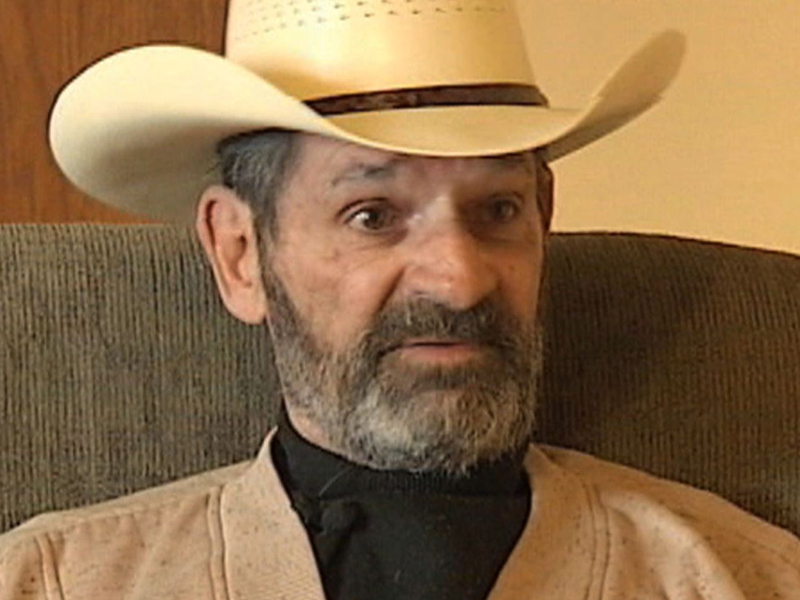 Cross lives in a small single-story home bordered on three sides with barbed wire fences just outside the small southwest Missouri town of Aurora, some 180 miles south of Overland Park. A red Chevrolet bearing two Confederate flag stickers was parked outside. An AP reporter knocked on the front door of the house early Monday but no one answered. The Southern Poverty Law Center, which tracks hate groups, said it reached his wife, Marge, by phone and that she said authorities had been to their home. The law center said the suspect has been involved in the white-supremacist movement for most of his life. He founded the Carolina Knights of the Ku Klux Klan and was its "grand dragon" in the 1980s. The Army veteran and retired truck driver later founded another white supremacist group, the White Patriot Party, the center said. He was the subject of a nationwide manhunt in 1987 for violating the terms of his bond while appealing a North Carolina conviction for operating a paramilitary camp. The search ended after federal agents found him and three other men in an Ozark mobile home, which was filled with hand grenades, automatic weapons and thousands of rounds of ammunition. He ran for U.S. House in 2006 and the U.S. Senate in 2010, espousing a white-power platform. "I think it's a good idea that I provoke people, and I do that deliberately," Cross said in a 2010 interview during his write-in campaign for a senate seat in Missouri. His campaign ads featured racially divisive language and were ultimately unsuccessful.